I don't exactly remember when I stopped using the iPad, but it wasn't without me trying to use it. We reviewed the WiFi version on AnandTech last year but it was the AT&T 3G version that I ended up using most of the time. For short trips around NC I'd carry it with me. It was the perfect car companion. Smaller and lighter than a notebook but functional enough to get me through any short trip. I tried carrying it to lunch and meetings around town but for the most part it wasn't portable enough for that to make sense. A smartphone was a far better companion. For several trips around the country I remember trying to take just the iPad, but I always needed to work on an article or publish something extensive while I was gone. For months I boarded every plane with the intention of bringing only the iPad but I always ended up bringing a notebook as well. Even when I went on vacation last year I had to finish a review and ended up bringing a notebook just for three days of use. Eventually I just gave up completely and left the iPad at home. As I mentioned in our review of the first iPad last year, this is a device that augments your existing setup - it replaces nothing. You'll still need a computer of some sort and you'll still need a phone, you just get to have another device that's more convenient than both of those occasionally. 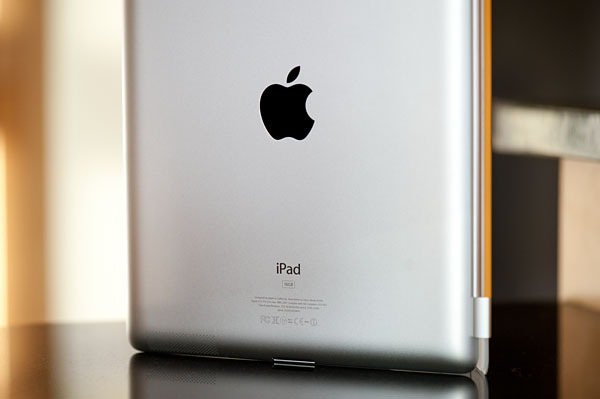 These days my iPad sits docked at my desk doing nothing more than charging and receiving updates. Yet every time I'm at an airport I look around and see tons of passengers with their iPads. It's the new ThinkPad. I see it everywhere and people seem to be happy with it. In fact, last quarter 17% of Apple's total revenue came from iPad sales. Clearly there are some users who love tablets and can use them on a regular basis, I'm just apparently not one of them. That's not to say that I don't like the iPad, in fact there are a number of things I still love about it. In our original iPad review I wrote about the more relaxed computing experience the iPad offers for those of us who work at a computer during the day. It's fun to just sit on a couch and surf the web on a tablet. It's easier to show your friends web pages and videos on the iPad than it is on a notebook. You can pass a tablet around like a pad of paper while a notebook is far more clunky. The overall experience is just so much more intimate. In using the iPad, Xoom and iPad 2 for this review I even found myself missing parts of the experience that I'd forgotten about. Overall my stance hadn't changed. While I enjoy using a tablet and find it to be a more relaxed way of computing, it's the lack of performance, still not quite perfect ergonomics, the clunky multitasking UI and the lack of a convenient physical input devices that keep the iPad from being a part of my daily life. 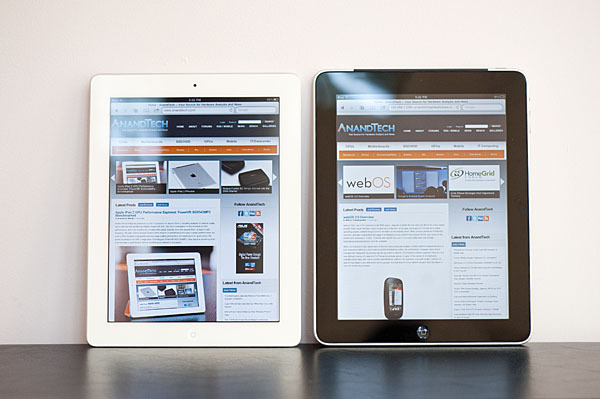 Don't get me wrong, I do believe there's clearly a future for tablets - the present day sales alone are proof of that. It's just that I believe tablets are on an evolutionary course towards perfection. 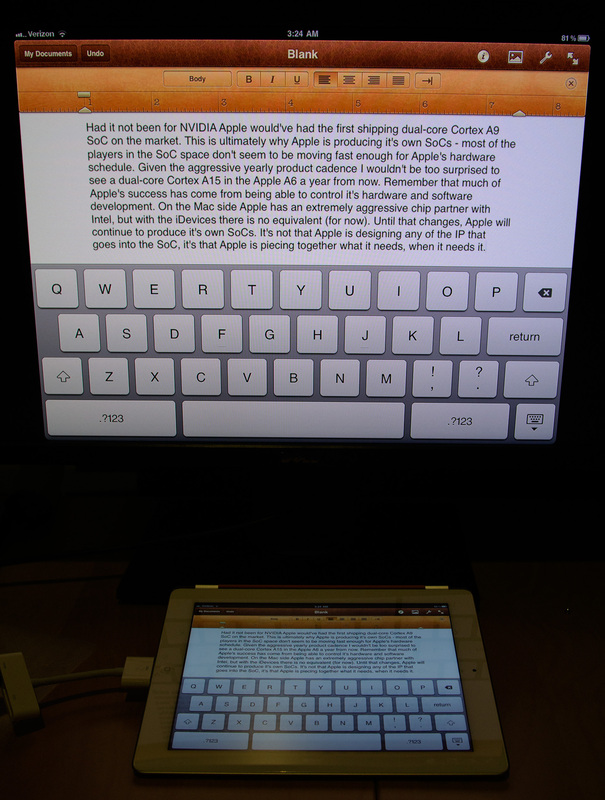 I'm currently typing this paragraph on an iPad 2 connected via HDMI to a Dell 24" display. If I wanted to I could even push the iPad to the side and use a bluetooth keyboard. This thing could easily replace a mainstream PC, it's just missing a few features. There's no support for Flash. Like it or not Flash support is still an important part of the overall PC experience. Eventually Apple will either cave, become irrelevant or HTML5 will replace Flash entirely on the web. One way or another, this problem gets solved. Multitasking is a pain. When the iPad first debuted there was no hope for multitasking, but now with the feature it's still far from magical. I need to tap the home button twice to bring up a task switcher, then tap or swipe/type before getting to the application I'm trying to switch to. There's no alt+tab (or cmd+tab) and no immediately visible task/dock bar of my currently running apps. Copying data between apps is a pain as I can't physically look at two things at once, there's just constant switching required to get things done. When I get a new email on the iPad I have to stop what I'm doing, go read the email and then switch back to what I was doing. The same goes for if I need to respond to an IM quickly while writing in Pages. With apps only running full screen and no support for windows, using a tablet can often times seriously reduce productivity. These are solvable problems. Apple and Microsoft figured out how to do it on the desktop after all, but we're just not there yet with tablets. Alongside multitasking is the performance problem. With the original iPad even deleting several emails at a time was a bit choppy, and web page rendering performance needed tons of work. As always Apple does its best to hide the limitations of the platform but I must point out that even the iPad 2 with a pair of ARM Cortex A9s has lower CPU performance than a netbook with a single core Atom. The fact that you can't really tell most of the time is a testament to Apple's software engineering, but it doesn't change reality. Ergonomics aren't perfect either. Brian Klug actually helped me realize this next point but the iPad and other tablets aren't great on-the-go devices. Tablets work very well when you're stationary but if you're up and about, moving around, a smartphone is a much better fit. Even when you're stationary there are issues. You have to be in the right physical position to comfortably use a tablet. Simply plopping it down on your lap like you would a notebook won't always work. There's also the idea of synergy among devices. Even if you play within the Apple universe and own a Mac, an iPhone and an iPad, there's no magical way of sharing data and applications between them. I should be able to work on my Mac, step away and have my apps/data come with me. Your best bet is something like Dropbox but that's no where near the type of cohesive solution I'm talking about. Think HP's webOS touch-to-share but on steroids and you're on the right track. The list goes on and on. 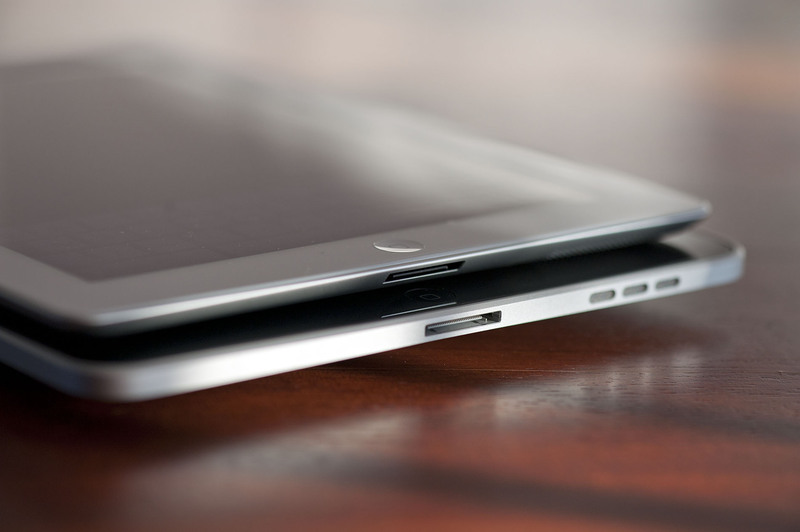 If you've ever spent sufficient time with a tablet you'll quickly be able to add to this list. The tablet is still in its infancy as a computing device and as successful as the iPad may be, it still has a long road ahead before it's anywhere near perfect. Just the items I've mentioned above are too much to address with a single product update, but remember that revolution comes about via constant evolution.